Nowadays is quite easy to discover news on your phone and keep track with your favorite topics in the online world. For all lovers of podcasts and news apps, there are apps that offer you to discover all your favorite audio content directly on your phone and enjoy it anywhere, even when you are traveling. To make it easier for you, we did our research and found an amazing news and podcasts app that offers audio content that is suitable for everyone’s taste. Developed for iOS users, Fallound is an amazing news and podcasts app created for users that like to listen to quality audio content during their commute, enjoying topics based on the interests they have. 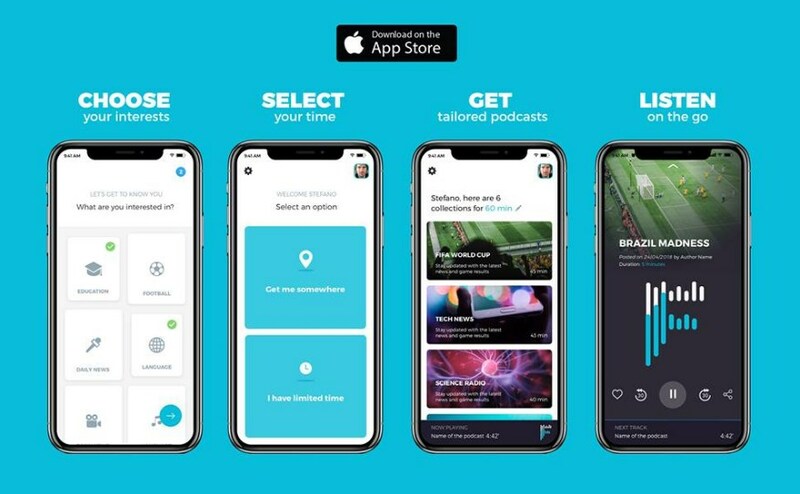 This app is offering a simple interface and it’s very user-friendly and easy to use, allowing users to discover news and podcasts as well for other audio content. Users need to only select their destination and the app instantly shows podcasts and news to enjoy based on their taste. The Fallound as the app that offers audio content you can enjoy during your commute works very simply and it offers various features that will make your experience quite relaxing. Initially, your task is to just select your interests and the app’s huge database will offer you many categories and topics you can choose from such as politics, finance, technology, sports and other. When you select your interests then you need to select your destination and the app is calculating the time you need to arrive there and depending on that offering podcasts and news you can enjoy during. Easily discover timed episodes that suit the time you need to arrive at your destination and find podcasts with topics you’ll love. Choose a destination or choose how much time you have for listening to discover audio content to listen to, enjoy your commute, directly on your phone. Download the app for free on App Store now to select a destination and discover podcasts to enjoy!